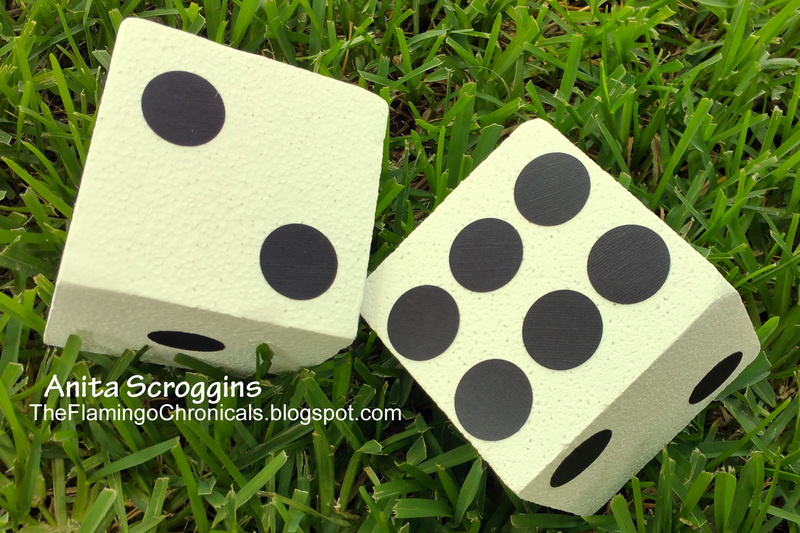 We love to play games when my family gets together and some of our favorite games involve throwing dice. I thought it would be a great idea this summer to play out in the yard with a fun super-size pair of game dice. 1. Paint the Smoothfoam cubes with 2 coats of white, letting dry between coats. 2. Punch 21 circles from the black cardstock for each cube and glue then to each side like traditional dice (one through six). 3. Seal each side of the cube with a coat or two of decoupage medium. This entry was posted in Kids' Crafts and tagged Cube, Toys & Games, White by Anita Scroggins. Bookmark the permalink.